Mountain Fitness Training based in Canmore, AB where many adventures in the Canadian Rockies begin. Qualified PT experienced in such adventures will create your plan to enhance your fitness for your next mountain adventure. A ski traverse, a mountain climb, a multi-pitch route or you want to prep for skiing or climbing season, MFT takes stress from your fitness plan. A program designed just for your mountain adventure goals will ensure the best use of the time you can devote to training. 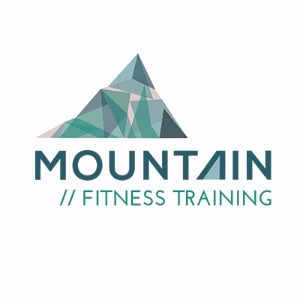 Mountain Fitness Training was co-founded by Paula Macdonald and Angela Bargen, certified personal trainers who love putting their own fitness to the test in the mountains. The idea for Mountain Fitness Training came about on a ski trip in the Alps. Angela and Paula were taking a break after a long skin up a glacier and were discussing the training programs they had each designed for themselves to prepare for the 7-day hut-to-hut ski traverse. They both had family obligations and work that kept them busy and their training programs had to accommodate the realities of their lives. They realized that others must experience the same challenges getting fit for mountain adventures and knew immediately that they wanted to help. Together, Paula and Angela have years of experience rock climbing, skiing, mountaineering, ice climbing and training others to be fit and strong to reach their goals. They look forward to helping you prepare for your own glorious mountain adventure. Success. Coach Paula Macdonald has been notified of your message.